One of the important things that tourists should consider when traveling is getting a place to stay. After a day full of adventure, they all want to go back to a place where they can relax, spend the rest of the day or probably have more fun. Staying in an amazing hotel is an adventure in itself. Great hotels might sometimes come with huge price tags, but with the amenities and other things that the hotels can offer, they might be worth every penny. Here we came up with the list of the most unique and amazing hotels in the world – for your future travels. If you are almost at the edge of giving up your career because stress is just eating you up and you know you can’t just drop it because there are we call “bills” this place might be for you. Consider taking a leave, book that flight to Mexico where you can find Playa Viva Hotel. 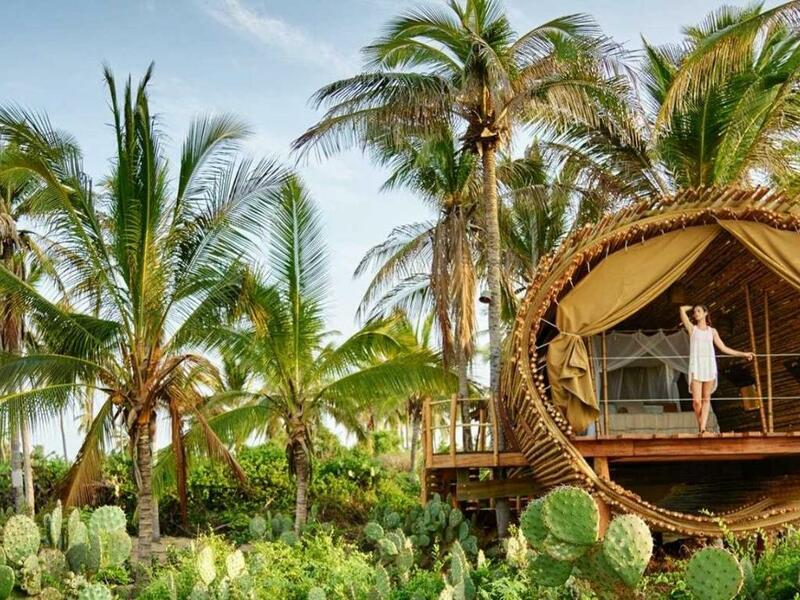 Located North of Acapulco, relaxing tree houses await you. The hotel offers meditation classes so you can breathe that stress out and get yourself ready for that urban jungle again. Have you ever wondered how it feels to live in a bubble? Like literally. A hotel in Bali Indonesia offers that experience. 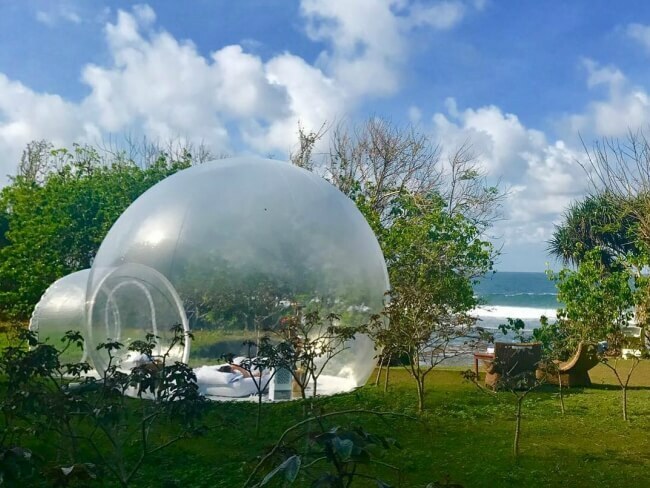 You can stay at bubble hotel and get a full view of the beach and the sky and have the feel of getting stuck in an island yourself. It’s like a date with nature. So if you’re sick interacting with humans and just want to spend time yourself, this hotel is perfect for you! When the urban jungle makes you sick, it’s probably time to experience living in an actual jungle. 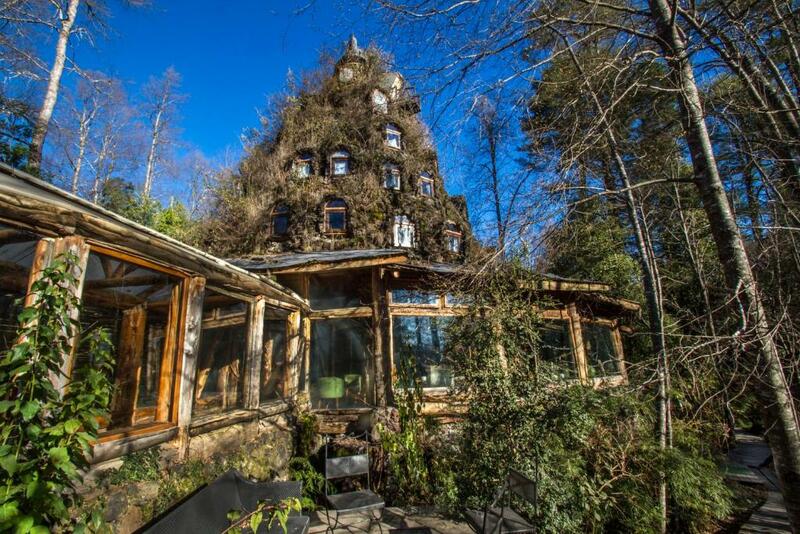 In Chile, a magical hotel lies inside the magical rainforest. Every night, the hotel breathes life. Okay, that’s exaggerated but this hotel which requires someone to pass through the monkey bridge to reach the lobby is just probably pretty normal. Plus the fact that it’s surrounded with unusual animals makes it more normal too. Jungle trekking, zip wire experience and bathing in spa waters are just a few of the activities that this hotel offers. Imagine waking up and the first thing that you see is a school of fishes staring at you as if they’re asking how’s your sleep? Well, that might be weird, yet awesome. This hotel in Tanzania gives you the unlimited access to the beach and an underwater bedroom. So after swimming, you might want to lay down on the bed and greet the fishes that pass by and say hello! Oh, that sounds interesting, you think? A boutique hotel situated in Nairobi Kenya offers guests close encounters with giraffes. This even to a point of letting them share your breakfast with these tall yet adorable creatures! If you’re one of those who wants to get to know these creatures better, you might consider booking a room at this hotel soon!